Compiled by Bert Frenz, Last updated October 31, 2015. This listing includes all current bird checklists for the State of Texas and its geographic regions, counties, state parks, national parks, national wildlife refuges and bird sanctuaries. 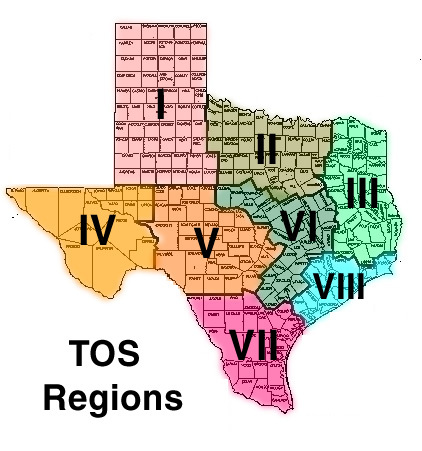 You can search this list in three ways: by geographic region as defined by the Texas Ornithological Society or by county or alphabetically by title. A checklist will be listed twice if it overlaps two regions. When searching by region, be sure to look at other entries near the hyperlink because many counties have more than one applicable checklist. Anderson, Andrews, Angelina, Aransas, Archer, Armstrong, Atascosa, Austin, Bailey, Bandera, Bastrop, Baylor, Bee, Bell, Bexar, Blanco, Borden, Bosque, Bowie, Brazoria, Brazos, Brewster, Briscoe, Brooks, Brown, Burleson, Burnet, Caldwell, Calhoun, Callahan, Cameron, Camp, Carson, Cass, Castro, Chambers, Cherokee, Childress, Clay, Cochran, Coke, Coleman, Collin, Collingsworth, Colorado, Comal, Comanche, Concho, Cooke, Coryell, Cottle, Crane, Crockett, Crosby, Culberson, Dallam, Dallas, Dawson, Deaf Smith, Delta, Denton, DeWitt, Dickens, Dimmit, Donley, Duval, Eastland, Ector, Edwards, Ellis, El Paso, Erath, Falls, Fannin, Fayette, Fisher, Floyd, Foard, Fort Bend, Franklin, Freestone, Frio, Gaines, Galveston, Garza, Gillespie, Glasscock, Goliad, Gonzales, Gray, Grayson, Gregg, Grimes, Guadalupe, Hale, Hall, Hamilton, Hansford, Hardeman, Hardin, Harris, Harrison, Hartley, Haskell, Hays, Hemphill, Henderson, Hidalgo, Hill, Hockley, Hood, Hopkins, Houston, Howard, Hudspeth, Hunt, Hutchinson, Irion, Jack, Jackson, Jasper, Jeff Davis, Jefferson, Jim Hogg, Jim Wells, Johnson, Jones, Karnes, Kaufman, Kendall, Kenedy, Kent, Kerr, Kimble, King, Kinney, Kleberg, Knox, Lamar, Lamb, Lampasas, La Salle, Lavaca, Lee, Leon, Liberty, Limestone, Lipscomb, Live Oak, Llano, Loving, Lubbock, Lynn, Madison, Marion, Martin, Mason, Matagorda, Maverick, McCulloch, McLennan, McMullen, Medina, Menard, Midland, Milam, Mills, Mitchell, Montague, Montgomery, Moore, Morris, Motley, Nacogdoches, Navarro, Newton, Nolan, Nueces, Ochiltree, Oldham, Orange, Palo Pinto, Panola, Parker, Parmer, Pecos, Polk, Potter, Presidio, Rains, Randall, Reagan, Real, Red River, Reeves, Refugio, Roberts, Robertson, Rockwall, Runnels, Rusk, Sabine, San Augustine, San Jacinto, San Patricio, San Saba, Schleicher, Scurry, Shakelford, Shelby, Sherman, Smith, Somervell, Starr, Stephens, Sterling, Stonewall, Sutton, Swisher, Tarrant, Taylor, Terrell, Terry, Trockmorton, Titus, Tom Green, Travis, Trinity, Tyler, Upshur, Upton, Uvalde, Val Verde, Van Zandt, Victoria, Walker, Waller, Ward, Washington, Webb, Wharton, Wheeler, Wichita, Wilbarger, Willacy, Williamson, Wilson, Winkler, Wise, Wood, Yoakum, Young, Zapata, Zavala. This web site is designed by Bert Frenz. . Copyright � 1998-2015 Bert Frenz. All rights reserved.